We will often use Discount Codes (also known as Promo Codes or simply Coupons) to unlock discount features. Such codes can be used to apply savings on the normal purchase price. 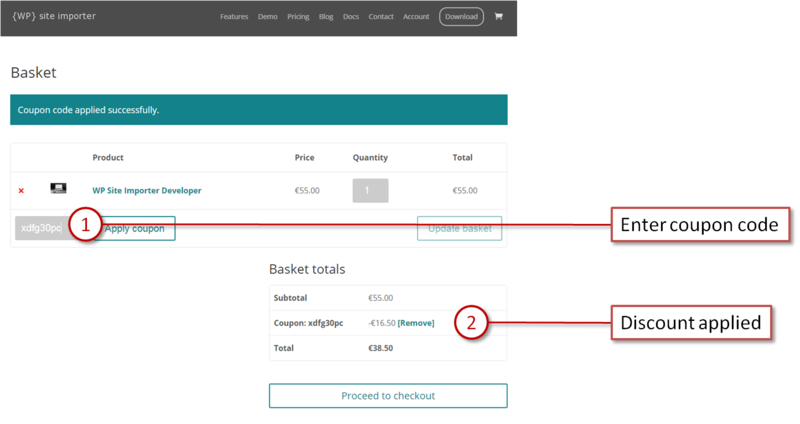 Note that if you have applied a Coupon Code to your basket, the option may not appear when checking out (though the applied discount will still be shown). Select a product to purchase and add it to your Basket. 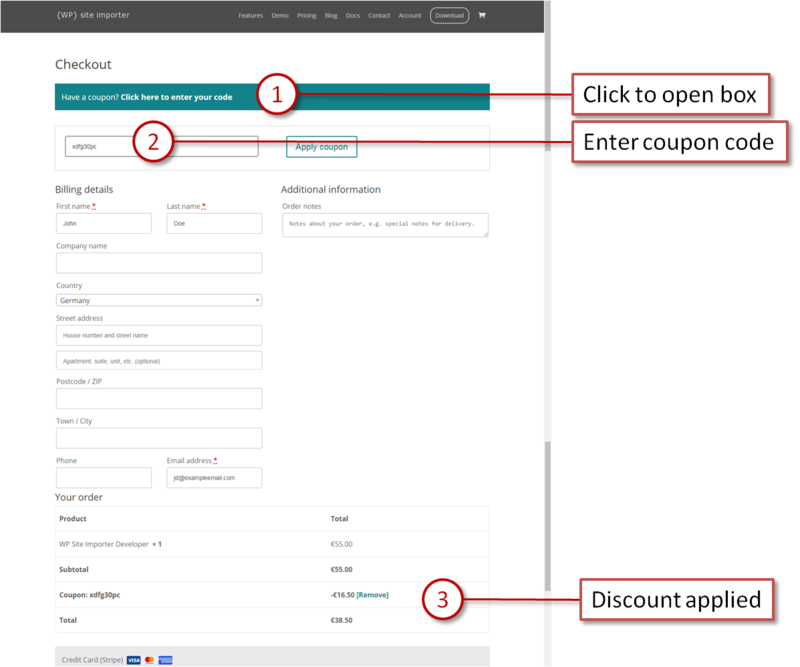 Locate the Coupon Code input area just below your basket summary (1). Enter the code and click Apply coupon. The applied discount will then be clearly shown (2). Add a product to your basket and proceed to Checkout. Click the link which reads “Have a coupon? Click here to enter code” (1). A box will reveal, inviting you to enter your code. Enter the code and click Apply coupon (2). The applied discount will then be clearly shown (3).